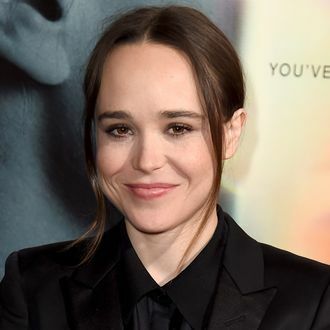 Ellen Page, a true port in a storm, has her next gig lined up, and she’s being swept into that big old net being cast by Netflix. It was announced today that Page will star in the platform’s live-action adaptation of the Dark Horse comic The Umbrella Academy, which was created by My Chemical Romance’s Gerard Way and has won a vaunted Eisner Ward. The story is set in the late 1970s during an alternate timeline in which John F. Kennedy was never assassinated, and follows a dysfunctional superhero family going by the title the Umbrella Academy, the children of which are working to solve the mysterious death of their father, Reginald Hargreeves (a.k.a. the Monocle, who is actually an alien living on earth as an entrepreneur). Page will play Vanya (known as the White Violin), the only Hargreeves child with no super-abilities, who is struggling to find her place in the world and among the rest of her adopted siblings. Spaceboy, the Kraken, the Rumor, the Séance, Number Five, and the Horror have all manifested powers of some kind, but despite going by the White Violin, Vanya is mostly just a “meek and insecure wallflower.” Fargo producer Steve Blackman will run the show and executive-produce alongside Way. The show has been given ten episodes and is expected to arrive in 2018.